Alright, so we know what you’re thinking, “Really? It’s already the middle of January and you’re just now gonna drop a 2018 hype list?” Well, um, yeah. You’re right on about that one. But hey, that’s not the point here. The point is that we’re here to highlight 25 artists who we think are ready for a huge 2018 – like, watch out fidget spinners and hoverboards, these bands are coming to claim your throne. Whether they’re currently in the studio, about to drop a highly anticipated new album or hitting the road later this year on their first ever headlining tour, these bands may vary in popularity but all share one thing in common: 2018 WILL be good to them in one way or another. 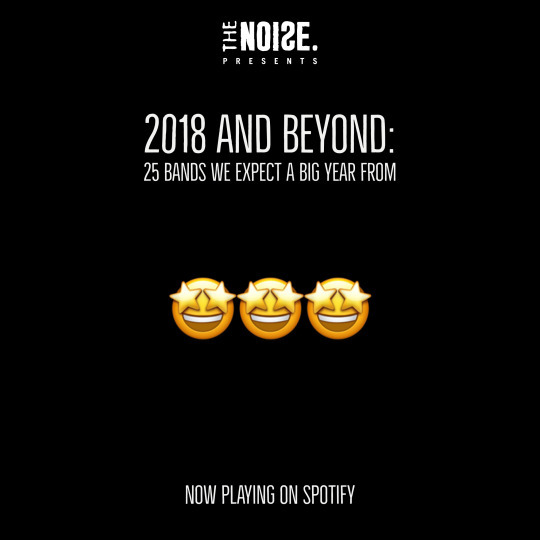 To check out which bands made our list, be sure to check out our 2018 And Beyond playlist below.